I can’t believe it’s gift guide time of year again! It’s really hard to narrow down some of my favorite things for littles, since there are so many great artists, small businesses, and brands to choose from. I tried to pick a couple of my faves for littles of all ages — stuff my kids love or would love to have. Stuff I love to give and brands I love to support. And a couple of really fun things thrown in, just because they are fun 🙂 I could have done a whole guide of books alone, so I’m including a list of some of our favorites below too. And if you haven’t heard or aren’t already following me on instagram, now’s the time! I’m doing a giveaway a day this week and next with one of my gift guide picks. You can find the first one here and follow along to enter them all under the #OLDholidaygiftguidegiveaways feed. Swaddle Scarf Blanket from Coveted Things: babies don’t really know they’re getting a good gift but their mom will know and these swaddles are a favorite. A Playhouse or Teepee from The Land of Nod: a playhouse or teepee is a favorite for kids of all ages. Both of my little ones would have so much fun in either and they are 1 and 5. And I love the fun designs. This one belongs in the boys’ future shared bedroom! Activities and Craft Kits from Seedling: I love the creativity and imagination that the products at Seedling foster. There’s really something for every kiddo — they can design their own super hero cape or bird wings, they can dig dino fossils or a pirate skeleton, build a dragon or a fairy wand. The possibilities are endless and your little one will love them all. Wooden Toys from Bannor Toys: Blocks, rattles, cars, games & puzzles, plus so much more — Bannor Toys has great wooden toys for kids of all ages. They even have personalized magic wands, which the little girl in me really wants for myself 🙂 I’m getting Charlie the sight words game and Calvin is getting a car set, plus a rattle for baby 3 even though he won’t be here for a few more weeks. Cloud Mobile from Baby Jives: I absolutely love everything that Baby Jives creates — it is all so magical and whimsical. Calvin has loved his cloud mobile since he was teeny and still does, and I’m getting a circle dreamer for baby three’s little space in our bedroom since he’ll be camping out with us until Calvin is old enough to move to Charlie’s room. We’ve also teamed up to give away one of her SOLD OUT luxe dreamer feathers over on instagram here. Basically, whavever you can get your hands on makes a great gift! Primer books from Lucy Darling: These California, New York, and Paris primer books are, well, darling. Beautifully designed, they’ll have your littles longing for travel from an early age. I hope they add more locations to the collection. And if you’re looking for other great baby gift ideas, their onesie stickers, baby books, and closet dividers are favorites as well. Stocking Stuffers from J.Crew Kids: The Crewcuts collection for littles from J.Crew is full of fun and sparkly stuff for girls and all things Star Wars for boys (and some girls I know would love it just as much!) The Star Wars temporary tattoos and the sparkly cat ears headband would make great stocking stuffers. Baby Bird Tee from The Bee and The Fox: I love these tees, as well as the matching ones for mama and papa that may be making an appearance in my grown up gift guide tomorrow! So simple and adorable. Imaginary Play Masks and Sets from Opposite of Far: What kid doesn’t want to dress up like a unicorn, a dragon, a superhero, or their favorite animal? 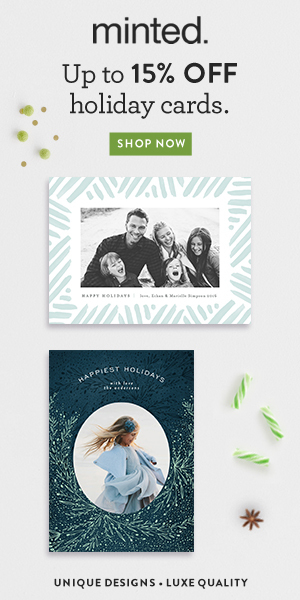 These sets make great gift for kids of all ages — but if you want to order for Christmas delivery you have to order by 12/5 so hurry hurry! The Backpacker from Birdling Bags: A well made and well designed backpack is a great gift for your school age children. Charlie’s little animal backpack that carried him through preschool is not big enough for all of his pre-K things, so I’m excited to gift him a “big boy backpack” for Christmas this year and I know he’ll love it too. 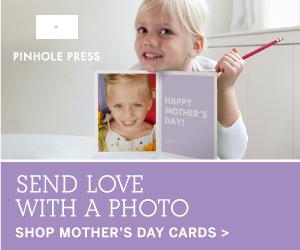 Personalized Photo Gifts from Pinhole Press: I love the Book of Faces for babies, toddlers, and preschoolers to learn letters and the names and faces of the important people in their lives (especially great when family lives far away!) and the photo flash cards and match games are great for slightly older children. So there you have it — my favorite holiday gift ideas for littles. I’ve shared more ideas below as well as a list of our favorite books if you’re looking to add to your kids’ library and aren’t sure what to get them. Happy shopping and gifting! And don’t forget to follow along to enter all of my gift guide instagram giveaways under the #OLDholidaygiftguidegiveaways feed on my instagram. If you’ve found a gem of a book, feel free to leave the title in the comments below – I’m always looking for great recommendations!